Clients looking for the finest in custom homeownership have depended on Arjay Builders since its founding in 1973. The company, led by John Shramek, is dedicated to satisfying every client and does so through honesty, encouragement and appreciation for each job. Today, Arjay Builders preserves its solid reputation by continuing its conscientious service and building custom homes that define the essence of timeless comfort. D3SIGNCUBE™ is an, industry leading, design+build firm capable of serving the discriminating needs of its clients by providing unparalleled services to the residential and commercial markets. We strive to transform your space into a one-of-a-kind indulgence—a fusion of styles that evolve to meet your specific needs, and our commitment to detail and budget-saving efficiency makes us one of the most sought after firms in the region. D3SIGNCUBE's lead designer, Andi Mehner, boasts more than 15 years experience in industry and understands how overwhelming the planning, designing and building process can be. She has been recognized for her sense of style and recommended as one to consistently deliver beautiful and functional spaces that go beyond her client’s needs and expectations. Feel free to reach out to us, we would love to hear from you! Design - Build Commercial Contracting, Custom Homes, Restoration and Remodel Projects With Advance Design & Construction, you get a truly custom building process and innovative floor plan that we draw in-house per your specifications coupled with our professional expertise. Your true custom commercial project, custom home, restoration or remodel project is designed and built according to your input, ideas and inspiration – to the last detail. Remodel and Restore The sophistication, style and precision of Advance Design & Construction’s true custom approach is applied to remodeling and restoration as well. Bringing out the beauty and potential in each home is a passion for our design-build team. Modern Technology Utilizing the latest 3D and online plan process technology, Advance Design & Construction lets you visualize and realize your new home beyond the blueprint. A full service contractor from design to build, as well as continued maintenance. Here at Botanica we specialize in a variety of different services so we can take care of our customers from project start to finish. We are hardscape specialists in walls, patios, all seasons landscaping, snow removal, and quite a few more. 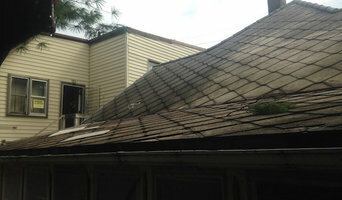 Winter brings remodel of vintage spaces sub floor to shingles and everything in between. Thank you to all the people to whom we've had the pleasure of taking care of in the past 31 years and as we look into the future! For any questions and quotes just shoot me a call. Have a Merry Christmas and a happy new year everyone! 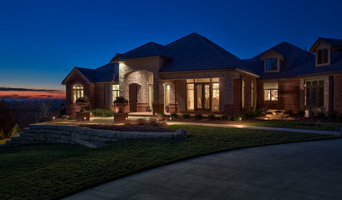 Kinning Design Build, Inc. began building homes in the Lincoln area in 1986. The company was founded as Kinning-Sydow Builders, Inc. by two couples, Jerry and Julie Sydow and Mike and Mary Kinning, a team dedicated offering homeowners an organized and efficient experience while building quality, custom homes. The summer of 2010, ownership changed to Mike and Mary Kinning and their son Matt. With the second generation arising, Kinning Design Build, Inc. is eager to carry on the tradition and standards the company has been known for in the homebuilding community for years. The Kinning Design Build team of professionals and trade partners have the ability to provide for the customer a hands on experience to achieve your custom home design and remodeling needs. From the initial planning and design through onsite construction, we are dedicated to molding your custom home to fit your budget, lifestyle and vision. Pohlad Custom Homes has been building new-custom homes in Omaha and the surrounding communities since 1997. We take pride in providing value for our Homeowners through innovation, foresight, integrity and professionalism on each and every new home or project. It is our pledge to establish lasting relationships with our Homeowners by exceeding their expectations and gaining their trust through exceptional performance by every member of our construction team. G. Lee Homes is committed to building to a higher standard. A home should be built to last. We firmly believe that giving our customers a quality finished product, a home that will last and a home they will love, is the RIGHT thing to do. We do not settle for less. We regularly receive compliments from appraisers, agents and inspectors for our attention to detail and quality construction standards. In a time when builders will settle for what is cheaper over what is right, we appreciate these compliments. It is what makes G. Lee Homes different and dependable. We strive to offer an intimate building experience. We encourage you to tell us more about how you live, so we can make the home work for you. You will choose your finishes to match your taste. Unique Features, Quality Constuction, and a Trustworthy Building Team are STANDARD in every G. Lee Home. Since 1966, United Services has been helping homeowners with their remodeling projects - from small repairs to complete exterior and interior renovations. Our professional designers work with you to create an overall vision for your home. On the exterior we improve curb appeal while keeping your home protected from the elements. On the interior we create spaces that are functional and beautiful for you to live in. We know that having to coordinate with multiplier providers on your project can be stressful, time consuming and costly, so we offer a start-to-finish service that includes design, purchasing materials and installation. This keeps your project running smoothly and within budget. Our entire team is dedicated to giving you peace of mind throughout the renovation process, from start to finish. Our designers and project manger visit your job site nearly daily as the work is being performed. Our full-time office staff are available to answer your questions and give you personalized care. Our owner Mark takes an active interest in each of our projects and spends most of his time visiting job sites and meeting homeowners to ensure your satisfaction through completion. We're a family owned company here to help you design and build your next home improvement project! With professional designers on staff, we offer one-on-one sessions to help you create the home of your dreams. If you’d like more information on our services or would like to get started, go to: <a rel="nofollow" target="_blank" href="http://unitedservicesohi.com/">http://unitedservicesohi.com/</a> . We'd love to meet you! Meadowlark is more than a name. It is an idea born of two brothers coming together to support their families with their God given gifts of fine craftsmanship. Born and raised as sixth generation Nebraskans, Zach and Abe Christensen were given a love for design and remodel from an early age. From painting to flooring every project growing up was a family affair. Through these experiences they developed a love for work and an eye for detail. As our company was born from family we consider you to be a part of our family, as we transform your living spaces into dream spaces. Meadowlark was created to transform your house into the beautiful home you have always wanted it to be. 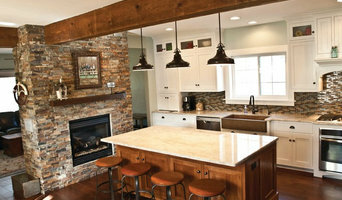 Our Renovation, Design, and Heirloom services are built to creatively change your quality of life. 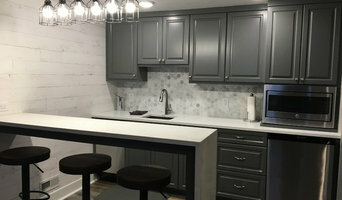 Oldenhuis Contracting Inc. is a high-end residential remodeling design/build firm offering a full range of services to create your 'Custom-Built Impression'. Recently selected as local General Contractor for a project on HGTV's show 'House Crashers'. The show will air in the new Fall line-up in November 2013. Finding the right swimming pool contractor to build your dream pool is no small task. With over 18 years of combined experience in swimming pool construction, Outdoor Living LLC is an Omaha-based design-build firm with resources to complete your project from concept to finished product. The primary goal at Outdoor Living is our client’s complete satisfaction. We have earned a reputation built on quality craftsmanship and close interaction with the client throughout the construction process. We establish an honest line of communication with you right from the start, helping both client and crews to understand design details, time lines, and procedures so that each project is completed on time and within budget. Outdoor Living believes each construction job is a new opportunity to prove our skills and showcase our talents. We always stay current with designs, automation products, and energy saving methods by attending seminars and workshops held throughout the country. Outdoor Living is also concerned about protecting one of your most important assets – your home. In addition to our experience, we are fully licensed by the State of Nebraska and carry both Worker’s Compensation and Liability Insurance. We are also registered with the Better Business Bureau and maintain membership with the Association of Pool and Spa Professionals (APSP). References are also readily available and we invite you to join us in walking one of our current or completed projects in person. Design-build firms take on the responsibilities of architects, contractors and construction companies, all under one roof. These full-service firms focus on a streamlined design-build process — from the initial design to the estimating phase to physical construction — in the hope of creating an efficient experience for both the client and the company. Because the entire project is happening within one company, Offutt Afb design-build firms are able to overlap the design and construction phases of the project, which often speeds up the project significantly. In addition, these firms work to minimize risks for the project owner through single-point responsibility contracts. However, depending on the firm, you may still want to contact an interior designer or architect to help create the exact look you want. Here are some related professionals and vendors to complement the work of design-build firms: Interior Designers & Decorators, Landscape Architects & Landscape Designers, Architects & Building Designers, Photographers. Before deciding on a residential design-and-build company in Offutt Afb, NE, think about what you want from your new home. Do you want a large kitchen for entertaining? Do you need several bedrooms for children and guests? Do you want a finished basement for extra space or storage? Look for Offutt Afb design-builders that specialize in the areas you're looking for. Budget is obviously a determining factor in the outcome of your project. To make sure you stay within your means, consider making a must-have list and a wish list. Gauge where the estimates are falling to determine which design-build contract can realistically strike the balance between the two. Find an Offutt Afb design-build company on Houzz. Narrow your search in the Professionals section of the website to design-build firms in Offutt Afb, NE. You may also look through Offutt Afb, NE photos to find a pool you like, then contact the design-build firm that created it.